The Emergency Warning Triangle has red reflectors for both day and night visibility. The base is weighted for stability in winds up to 40mph. Each kit contains three 18″ triangles that fold flat in a double molded plastic carrying case. 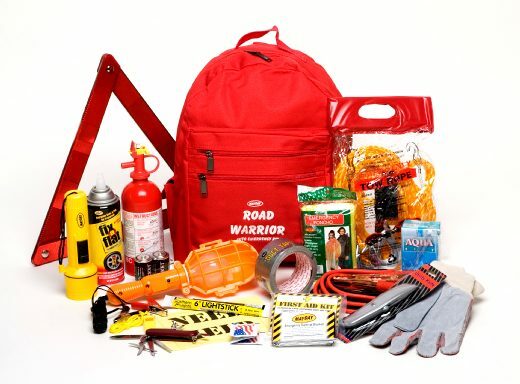 This kit is the most complete car emergency kit. 9″ X 36″ “CALL POLICE” distress flag and more all organized in a tough case of red HDPE with integral handle and snap locks. 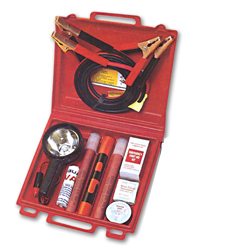 Additional Information: Imprint area: 5″ W x 3″ H, Case Color: Red Master: 8 pack, 42 lbs. The most comprehensive small car emergency kit. It covers two major problem you might have with your car on a road: flat tire and dead batteries.